Arjon I reg'd but may not play either. Not keen on huge freerolls and I quite often don't play any poker on Sundays. I am reg for both days even though I totally hate those donkfest freerolls. Ya, think most of us feel the same , especially @ Tilt & Stars. Not gonna waste any time in the free. Go big or go home. Good Luck e1! Good luck to all who play!!! Nice finish to all that cashed! Lets kick some azz in the buyin Sunday! Look at the hand below - the other guy kept making small raises - all up to the river - but checked the river.. I had the hand til then - and somehow - i was smart enough to check after the river card resisted the temptation... of course I was very happy with myself for that. Out early with 54s in limped SB. Flop A23 rainbow (big smile). 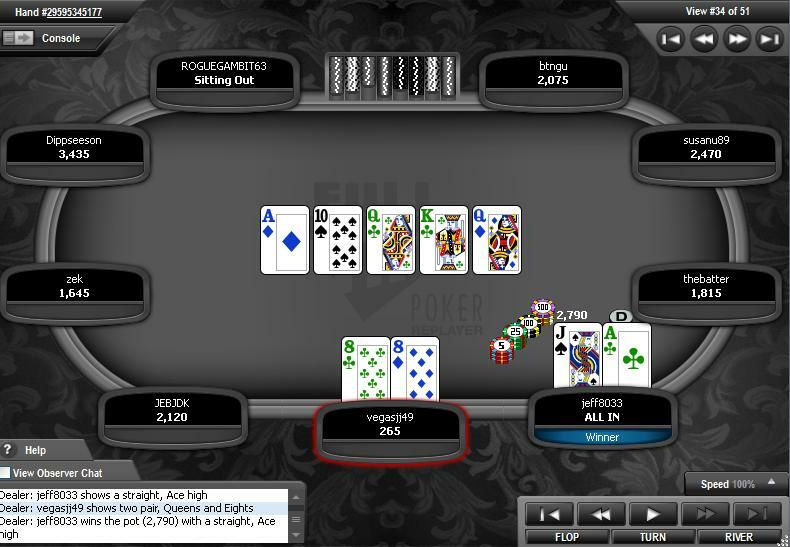 Table fish (vpip of over 60%) raises...I reraise..hes allin. He shows 33...and of course turn pairs the board for him. DarkRalph wrote: Out early with 54s in limped SB. Flop A23 rainbow (big smile). 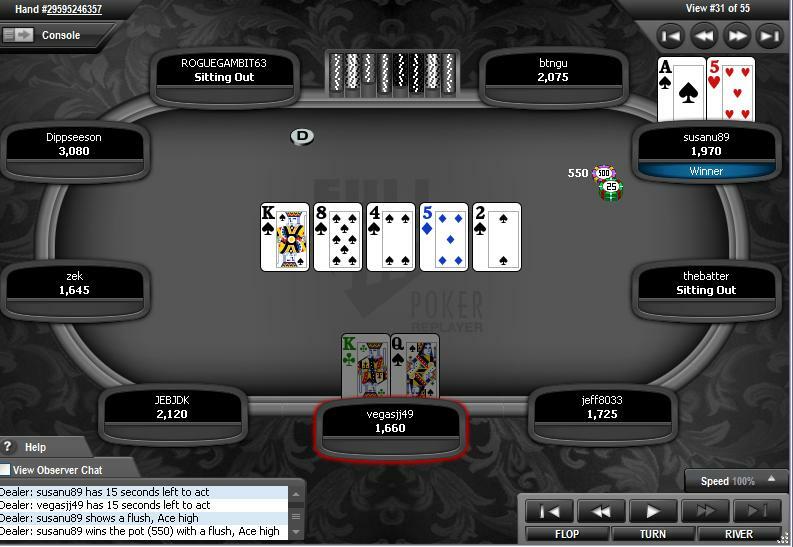 Table fish (vpip of over 60%) raises...I reraise..hes allin. He shows 33...and of course turn pairs the board for him. Yep, sick day at Fulltilt for the two of you.